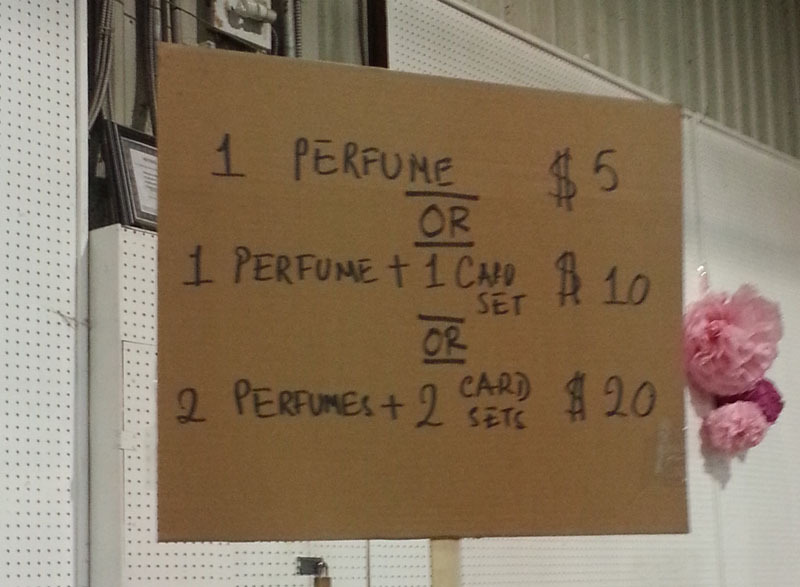 MAC Warehouse Sale was just this past weekend, I was tweeting about it as it happened. Did any of you go?? 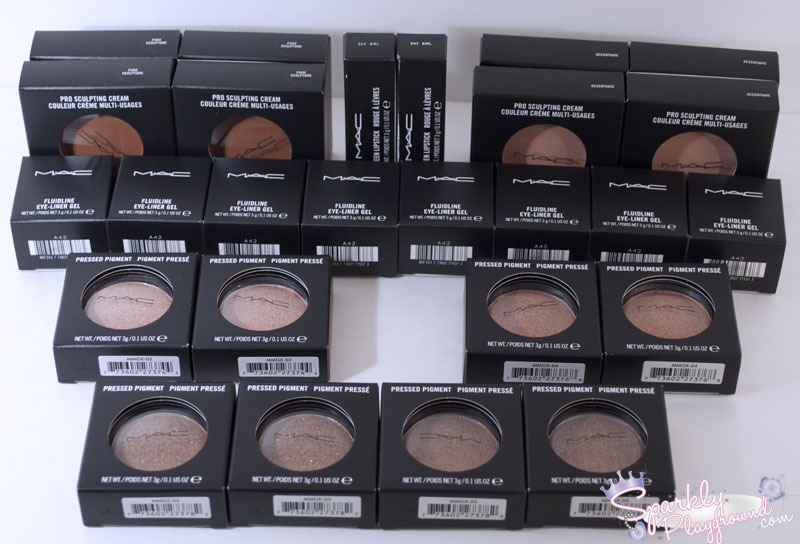 I should probably stop calling it MAC Warehouse Sale when it's really Estee Lauder Warehouse sale because the sale carries many brands but MAC happens to be the most popular there. I feel like I haven't blogged about the sale for a while, but since much of it is repetitive, I will briefly blog my experience this time around. Generally the structure of the sale hasn't changed much, check out my previous post for all the details. This was my initial haul. I'm obsessed with concealers so when I saw the MAC Studio Sculpt Concealer, I was dying to buy it. It was selling for $9. This short clip is just to show you how bad the line up was. All those people who are standing still are to line up to go pay. It's just super horrifying to watch and I think the line up was blocking people from trying to purchase as well! Just when we're about to go pay, we realized.. what the hell? Where is the end?? We literally walked like twice around the insides of this warehouse room to find the end of the line up to PAY. It was seriously ridiculous! The lines before were better in the past in my opinion because you can choose which line to go in say #1- #10. But now it's one huge line and you go to the next available cashier. I think this system makes it slower because most of the time, the customer are reacting very slowly to the waving cashier and everyone just gets pushed back. Every. Minutes. Counts. My mom and I had plans after the sale and both of us honestly didn't find anything was THAT worth buying so we just walked out of the lines and went straight to the charity bag section. I had a few variations between the colours for the Pressed Pigment (Beaming, Spot Lit, Warming Heart) Temptalia has written a review for these and they sound like terrible products so I'm not very interested in these. I only have one colour for the Fluidliner, I've been wanting to try this for such a long time so I'm super duper excited for it! I can't believe I bought this before because now I have 4 of these. Well 5. Planning to give one away and will see what to do for the rest of them. This would be my charity bag haul! I had 8 bags in total because my mom gave me all of hers. I know many of you might be thinking about swapping.. so sorry but I have a bunch of close beauty blogger friends who already emailed me for swaps. I did reserve some for blog giveaways (BECAUSE I LOVE YOU). Of course, if you're hoping to purchase, I am going to put some to my blog sale. I went back because I still wanted to get that Studio Sculpt Concealer. However the line up scared me off again so I went straight to the Charity Bags section. It was SO CRAPPY!! This was the sign for it and it changed twice when I was in line for it. By the time I left, there was no Card Set left. There is also a new limit of 2 bags maximum for each person! Anyway, I think this season's cosmetic warehouses has come to an end for me. If you went, please let me know what you thought of the sale! And, I'm super curious what happened to Sunday's sale! Please let me know! I'm going to focus more on my beauty reviews and youtube stuff and outfits!